Why keep paying hundreds of dollars per month for your family to access entertainment via a traditional cable service? 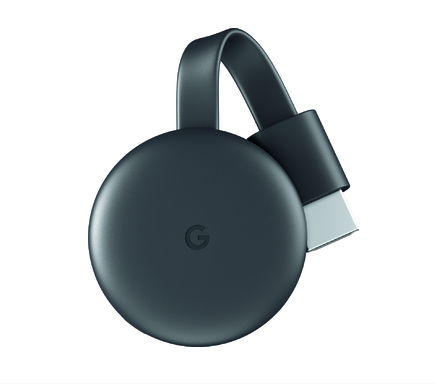 There's a better way -- with the new Google Chromecast Media Player now available at Best Buy, paired with the streaming video apps you already use -- you can finally cut the cord to cable and save lots of money. 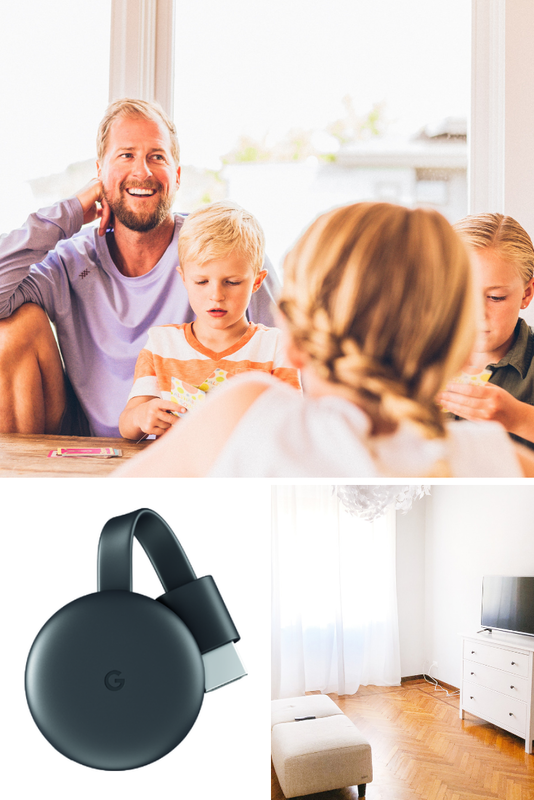 Imagine kids, mom and dad all getting to simultaneously enjoy streaming their favorite videos, shows, and movies at home on the big screen family TV, other televisions in your house or on their wifi-connected mobile devices. It's a pretty amazing thought, isn't it? 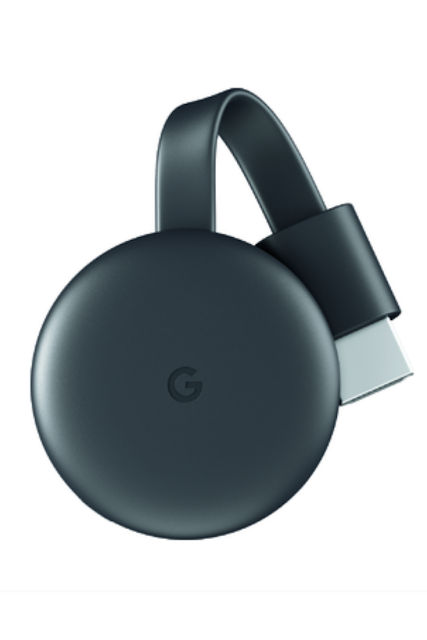 The Chromecast Media Player is easy to use and connect to your existing wireless home network (remember a wireless router, sold separately is required). To get started, all you have to do is plug Chromecast into your TV's HDMI port and a power outlet, then tap and start streaming the shows you love from your phone, as well as listen to your playlists. The best part is you can still multi-task, watching while also using your mobile device to take calls, text, send, email, check social media, and anything else you do. Viewing entertainment at home with the kids will never be the same. Chromecast works with Google Home, too. So you can start streaming whatever you'd like with your voice simply by saying something like "Okay Google, play Orange is the New Black from Netflix on my living room TV." 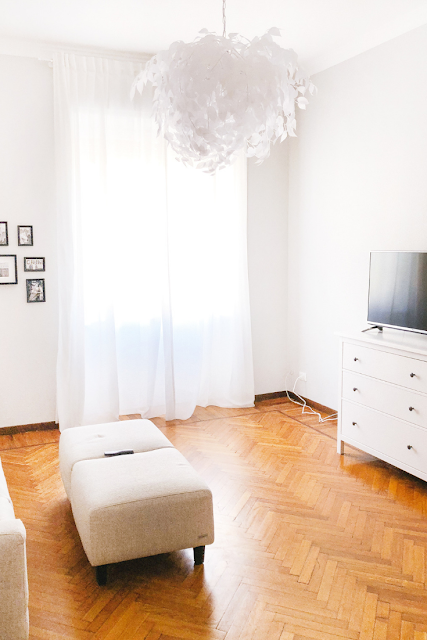 Just imagine, with access to more than 2000 entertainment apps such as Netflix, YouTube, YouTube TV, HBO NOW, and more you can see your favorite programs, movies, sports, games, and videos, as well as listen to music. Keep in mind some services require subscriptions to view content. In addition, Google Home, Chromecast, and compatible content is required to cast to a TV using Google Home. This is an easy way to upgrade your family home entertainment experience without spending more money on a new TV. At just $35 each, the Google Chromecast Streaming Media Player is so affordable you can get own one for every television in your house. Best Buy has more than 1000 stores in the U.S. Pick up your Google Chromecast Streaming Media Players in-store at the location nearest you or order online from Best Buy, which is currently offering free shipping. We could definitely streamline the way we get our entertainment if we had chromecast. The multiple apps you have access to is one of my favorite parts. We've been talking about getting a Chromecast lately. I already have Google Home, and I Love that. I'm a Google fan. I'm totally putting this on my Christmas wishlist this year. I really want a streaming media player and totally trust Google Chromecast! I do a lot of streaming myself. I cut cable a long time ago. I think this product is great, and a good price too. We use multipe streaming services and no cable. I haven't used Chromecast though. I have to say this is such a great gadget for holiday gift giving. I love all of the things it is capable of doing and the price can't be beat. I have teens and this will the perfect device for our home! I am sure that eeryone will love it! This sounds really awesome! I would love to give it a try! We've always been partial to another brand of media player, but the most recent one we bought has been terrible. I am definitely looking into the chromecast to replace it. I have just heard about Google Chromecas! And it seems like everyone is really impressed. Looks like this may be the perfect family gift for Christmas this year.